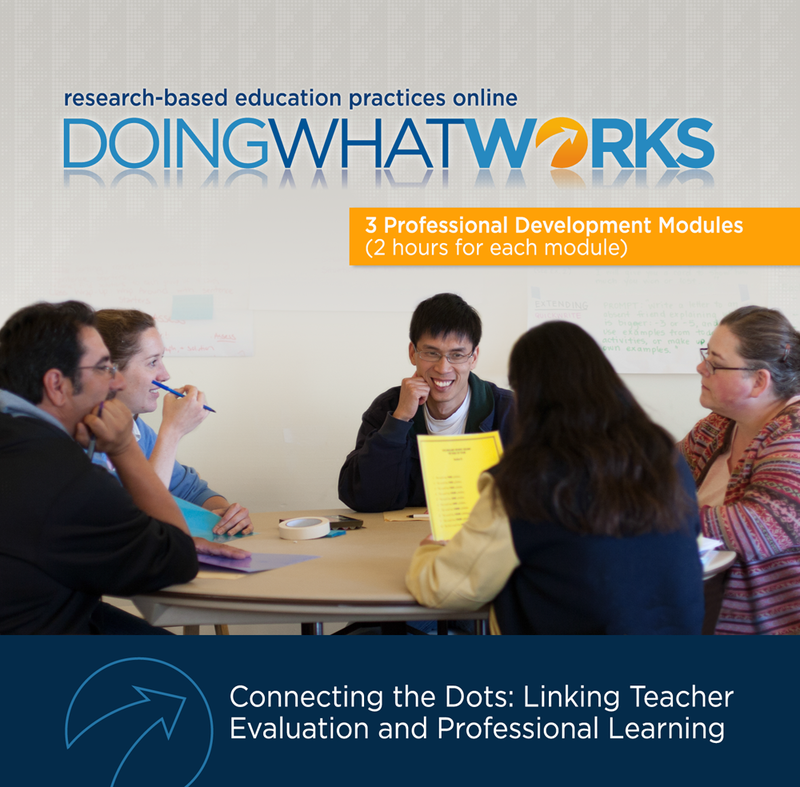 Doing What Works (DWW) helps educators understand and use research-based practices through interviews with researchers and practitioners, multimedia examples and sample materials from real schools and classrooms, and tools that can help educators take action. DWW content is based on research reviews conducted or endorsed by the Institute of Education Sciences. This content is typically in the form of practice guides. The DWW materials are available to the public through the DWW Library. 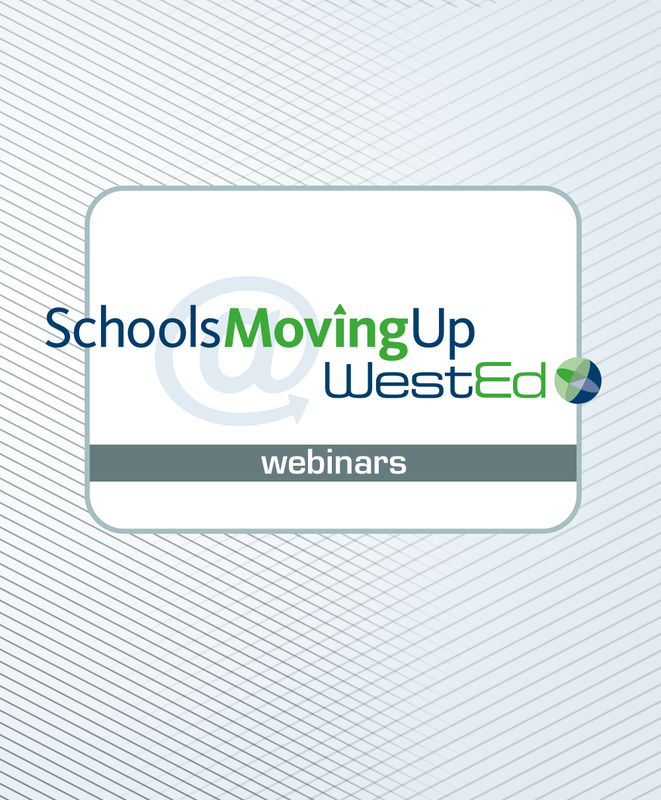 In addition, on WestEd.org, you can order free professional development packages using DWW materials. If you need assistance navigating the library, review this Quick Start Guide. 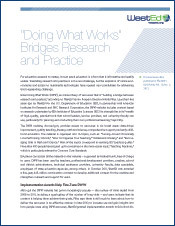 DWW content was developed by the Innovation Studies Program at WestEd in partnership with American Institutes for Research and RMC Research Corporation. This project was funded at least in part with Federal funds from the U.S. Department of Education under contract numbers ED-PEP-11-C-0068 and ED-04-CO-0060/0003. The content does not necessarily reflect the views or policies of the U.S. Department of Education nor does mention of trade names, commercial products, or organizations imply endorsement by the U.S. Government. 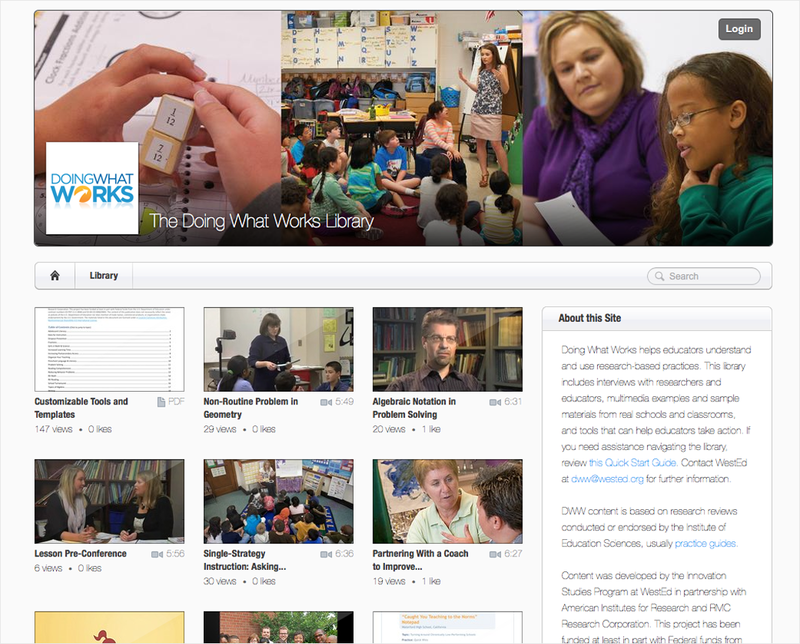 Be sure to visit http://dwwlibrary.wested.org/ to learn more about our work and latest developments. 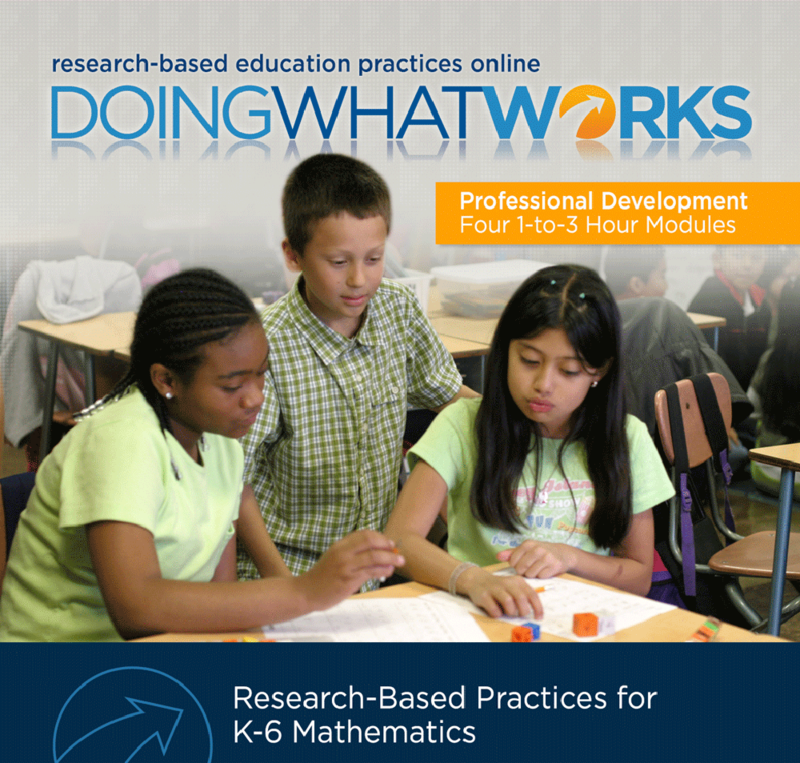 This digital portfolio contains the materials needed to conduct four one-to-three-hour professional development sessions on research-based practices for K-6 mathematics. 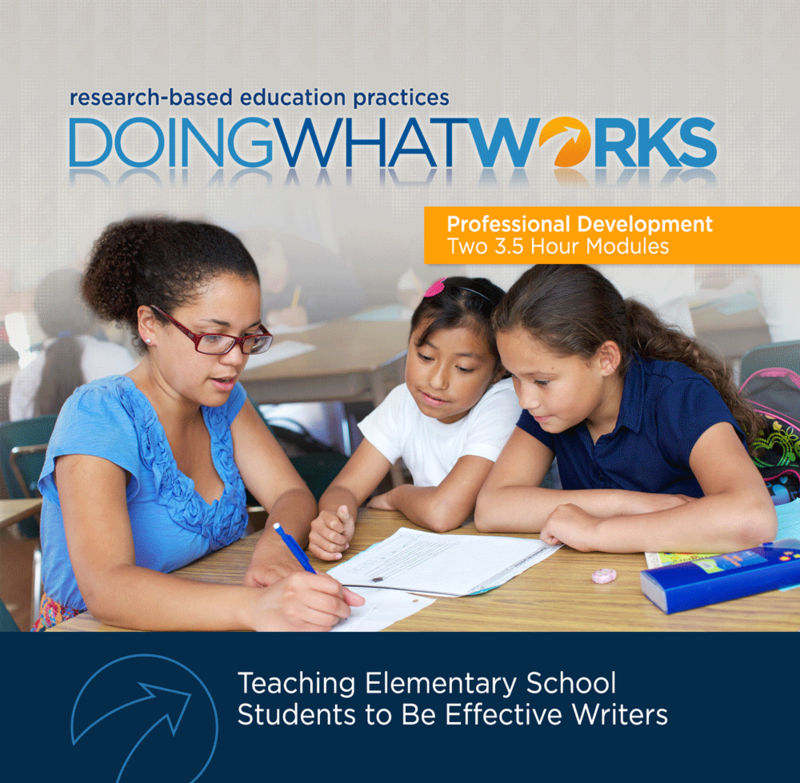 This package contains all the materials you need to conduct four two-hour professional development sessions on implementing Doing What Works K-3 Reading Comprehension practices. Math educators discuss the principles of Doing What Works and an effective research-based method to help students understand fractions. 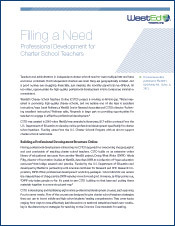 This Principal magazine article helps education leaders navigate the robust Doing What Works website and find solutions to school improvement in just three clicks. This "one-stop" package contains all the materials you need to conduct six topic-specific workshops on implementing research-based practices in secondary schools.